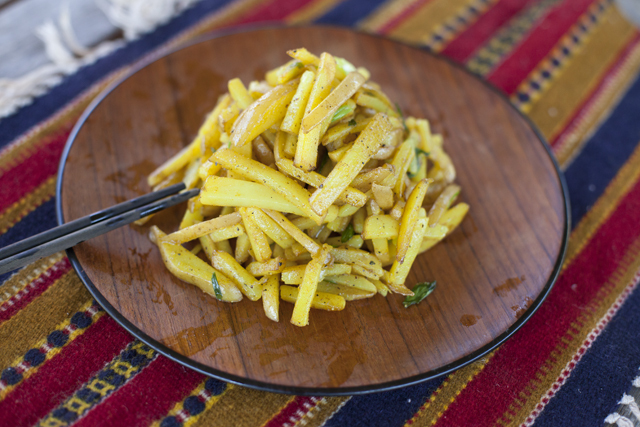 Anyway, we remember this as a common side dish in our lunchboxes growing up because it's so easy to make and we as kids loved it. Usually it's made with just salt and pepper but the curry adds a nice touch. 1. 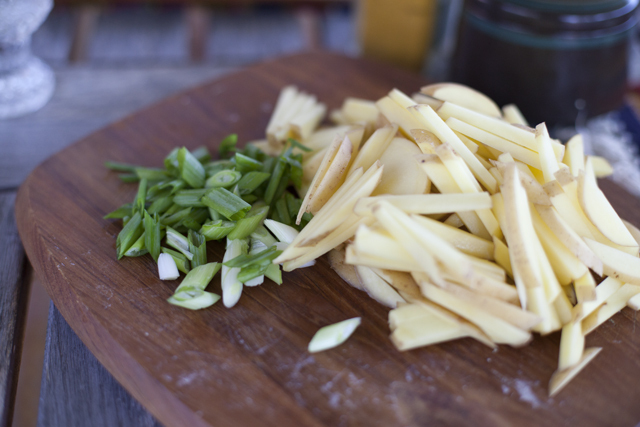 Slice the potatoes into matchsticks and slice the green onions into 1/2" pieces. 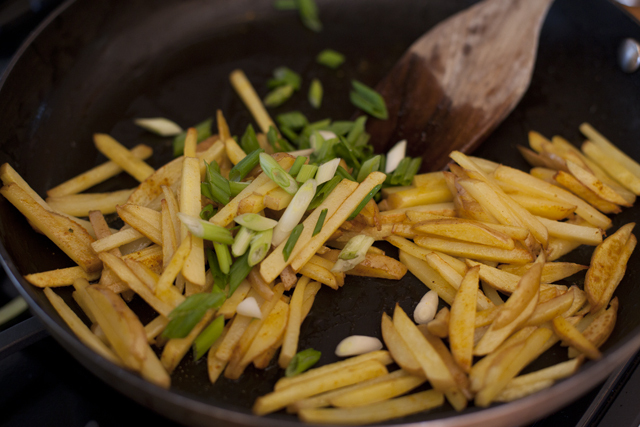 You can slice the potatoes thinner than we did if you want. 2. 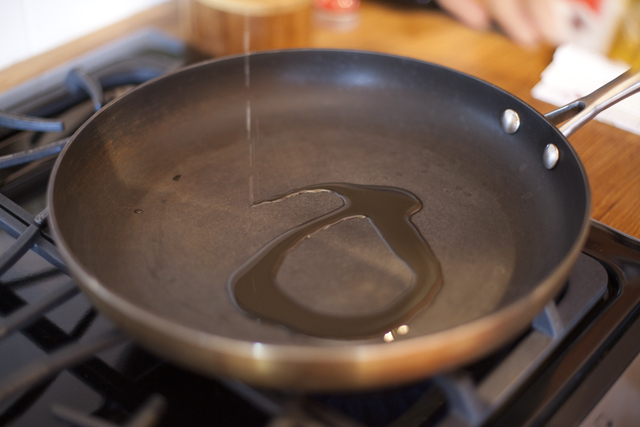 Put some oil on a hot pan. 3. Add the potatoes and cook on medium heat for 5 or so minutes. 4. 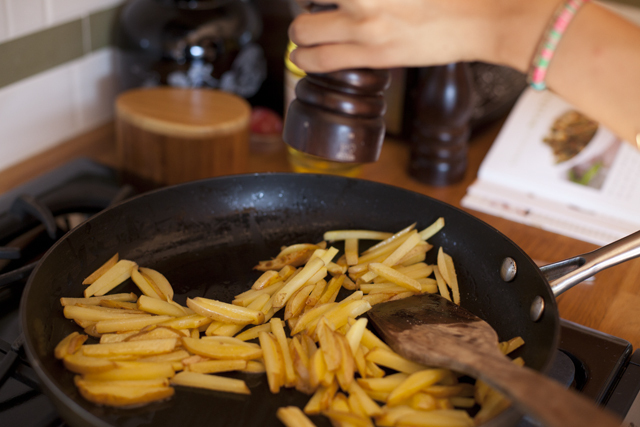 When the potatoes are tender, add salt and pepper. 5. 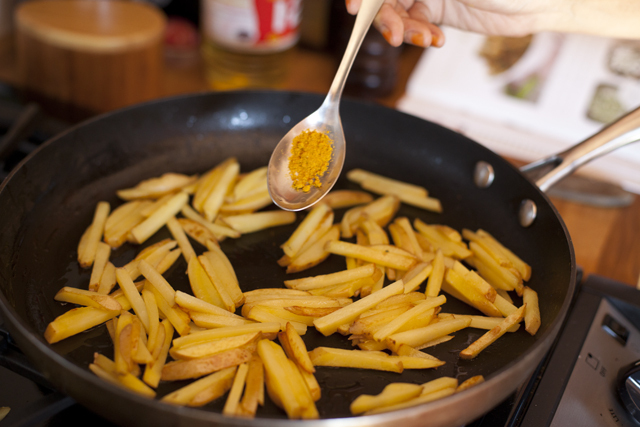 Add the curry powder and cook for another few minutes until cooked through. Be careful not to overcook as they will start to crumble. 6. Add the green onions. Turn off heat. Taste it and add more salt if needed. The curry powder is an interesting twist. 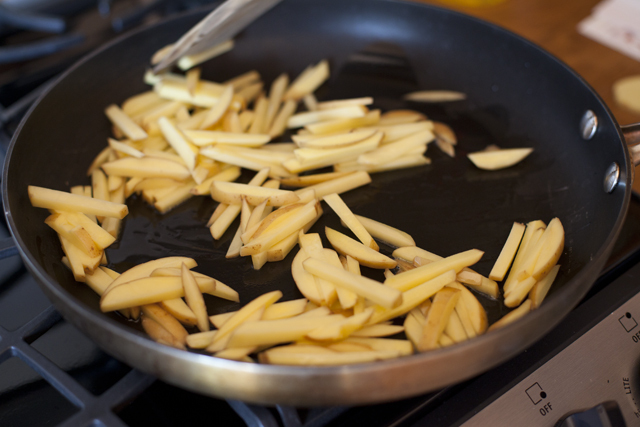 When I make this side dish I rinse the sliced potatoes with lots of water to make them less starchy. They hold their shape better as a result I find. so grateful you include so many vegetarian dishes that are easy to prep. That looks delicious. You always make the best looking yummy things. ummmm :) looks yummy yummy ! I just discover your blog from "la peau d'ourse"and I am so happy of it ! At least someone who also cooks seaweed ! Oh yum! 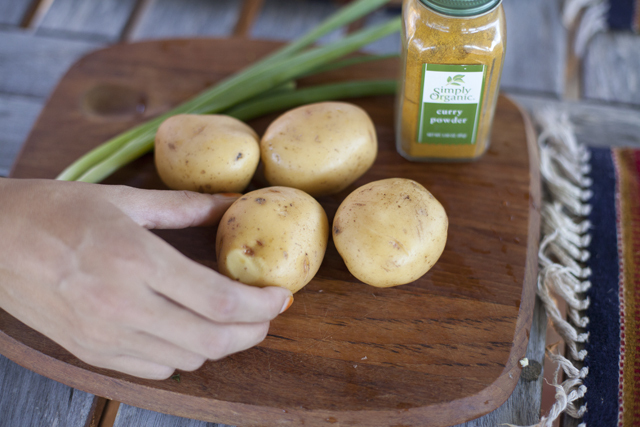 I actually picked up some yellow potatoes and onions at the grocery yesterday thinking i would make some garlic potatoes. But the curry seems like a much better idea! yumm, these look so great. Just came across your blog and I love it! ISBN is 9788991995758. Hope you find it! I'm making this tonight. For sure.